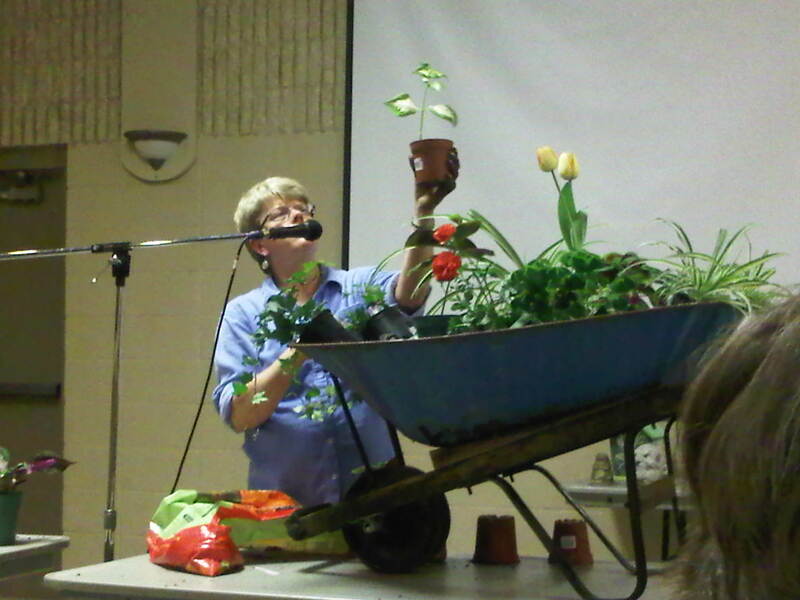 Charlie Dobbin, an internationally known horticulturist and landscape designer from the Toronto area, was in Exeter this week to speak about container gardening. Charlie previously cohosted “One Garden, Two Looks” on HGTV and is the Horticultural Director for the popular Canada Blooms show held every March in Toronto. 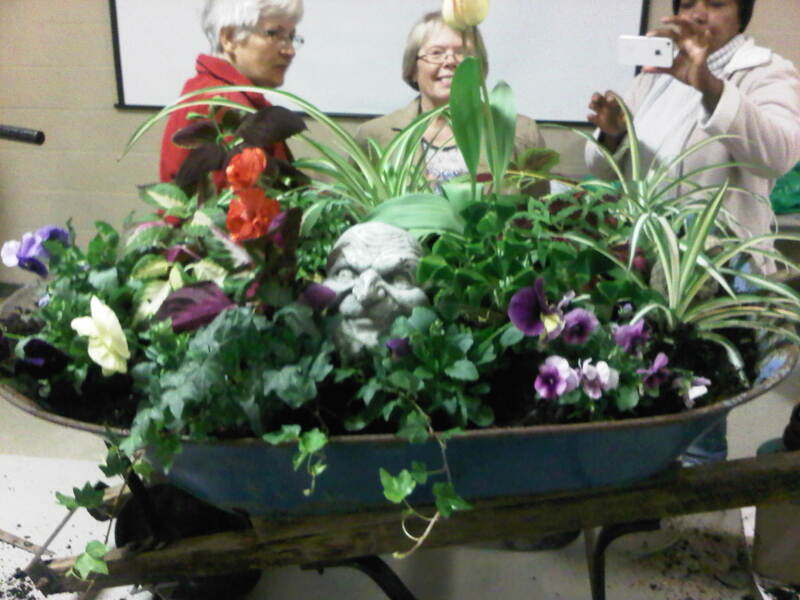 The presentation was hosted by South Huron Communities in Bloom, who are challenging residents to decorate their gardens with wheelbarrows filled with various flowers and plants. Last year, South Huron reached its goal of a 5 bloom rating in the Communities in Bloom competition! I am definitely not a gardening pro, so I did learn some basic container gardening basics about soil, fertilizer, and drainage. There was a great turnout, as 83 people attended the event. During the presentation, Charlie actually planted an old wheelbarrow with flowers right in front of us! During this time she shared her design tips and answered questions from the audience. Spring is on its way!